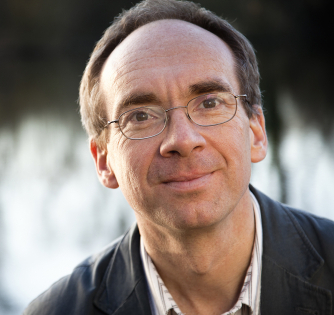 At 2.30, in a pre-concert talk, pianist, author and Radio 3 presenter Paul Guinery discusses how the composers featured in the afternoon's concert were affected by the First World War. The concert, which ends the 8th West Meon Music Festival, begins at 3.30pm, commemorating the anniversary of the end of the First World War. The second half of the concert features contemporary songs and poems by composers and writers, some of whom served in the war, and includes works by Butterworth, Gurney, Debussy, Elgar, Rachmaninoff, Eisler, Boulanger and Caplet. The Primrose is delighted to welcome renowned tenor James Gilchrist, acclaimed violinist, chamber musician, soloist and concertmaster and founding member of the Phoenix Piano Trio Jonathan Stone, and pianist, author and Radio 3 resenter Paul Guinery. James has a busy performing schedule in the UK and overseas and the Primrose is delighted that he has been able to include the West Meon Music Festival in his busy calendar. Some may have heard James in June at a performance on Britten’s War Requiem in Winchester Cathedral, while his latest CDs include collections of songs by Parry and Vaughan Williams. Paul Guinery will be reading some of the best-loved poems written by the War’s poets, including Wilfred Owen and Rupert Brooke. Tea & cakes are included in the ticket price and will be served in the interval.